This exploitation will always occur because too many people are gullible non-thinkers. Democrats are milking this low information crowd with support for new mostly hidden taxes and votes. Recorded history, not simulation form computer games. Now I know why the Trojans ignored Cassandra. But nothing was changing in the items which control the climate during those time frames, not until 2005 when solar went from a very active to inactive state. Now , the temperatures in response to low solar activity post 2005 and continuing will be going lower. How much lower is the question. All politicians milk the low information crowd. Here is more low information: there are two political parties. The difference between the “warming scare” and the “global mean guesstimate” between about 1905 and 1925 is quite dramatic. Similarly for the cooling scare between about 1945 to 1970. It makes one wonder about the accuracy of the guesstimated temperature — or maybe just the need to scare people about something. There’s an interesting question… which changes to a greater degree – the average global (annual, to remove seasons) temperature, or the daily temperature in a climate-controlled office? Someone should set up a high-precision thermometer in an office building and see. Working from home, I don’t have access to one now, but I’ve worked in office buildings before, and the temperature throughout the day is far from constant, even with the equipment set to maintain a fixed constant temperature. It would be interesting to present those two series overlaid and unlabeled (at first) as a comparison. very nature to exaggerate. It’s mostly what they do all day. Proof? Paul Ehrlich’s ability to make headlines after 40 years of magnificently incorrect predictions. The IPCC now has more confidence than ever. They only have to be lucky once. Why yes, there IS an Ice Age coming. Or, more exactly, we’ve BEEN in an Ice Age for the past ~2.58 million years, and currently are between continental glacial advances. One of which is due Real Soon Now. In geologic terms, that is, meaning anytime in the next 10,000 years or so. 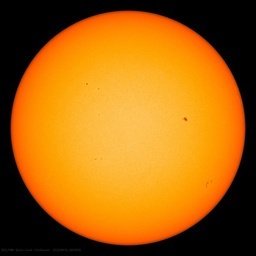 We’re ALSO going into a solar minimum: sunspot activity is near zero, and those have historically been associated with “Little Ice Ages”: information on recent similar events may be found when researching the Maunder Minimum and the Dalton Minimum. Neither class of events have ANY linkage to so-called Anthropocentric Global Warming, or whatever they’re calling it this week. . . In a world where so much is in doubt, taking the actions demanded by the AGW crowd can only prove fatal to untold millions. And since it has been warmer and has had higher levels of carbon dioxide in the past, waiting a little longer to put the safety net in place for those that need it won’t make a difference in the future. It tends to make me truly believe the ultimate reason for the hysteria is mass population reduction. I particularly like the remark made by Philip Stott (emeritus professor of bio-geography at the University of London). In a similar vein, I’d be scared to death if climate suddenly stopped changing, after 4.5 billion years. Newspapers appear to be a lagging indicator – driven by alarmists scientists – seeking grant funding. I don’t get that graph. 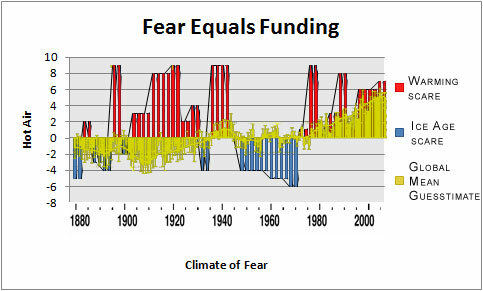 Should there not be blue bar-chart lines in the 1920s? All of these scares are more about “headlines” and “deadlines” for newspapers and magazines than about their actual content. They really are not intended to inform just sell advertising, todays scares are no different, SARS, pig, bovine, bird flu, Y2K, overpopulation, ozone, sea level, ebola, child abductions, alien abductions. Most are at least a tiny bit true, but they get marketed as a media product to keep people focused on the ads and commercials. The big question is why we still believe anything the media say, people now have access to much more information outside that provided by traditional media. I guess it boils down to, everyone reads headlines, few read the corrections and retractions. Every prediction is actually going to come true. Eventually. There problem is not in the predictions (an idiot child could make them), but in the timing. Eventually Canada will be part of the Arctic again! Eventually, temperatures will rise by 3ºC. But as the old cliche goes – in the long run, we are all dead. Hedge your bets. Write two books (one claiming a coming ice age, and the other claiming catastrophic heat), publish both, and advertise according to the weather. Million sellers, come snow or come shine. …but they have kept switching whether it was a coming ice age, or global warming. Steven over at Real Science has been digging up and showing this kind of information for years. Somebody, sometime should recognise his relentless task of bringing the past into light: just about every aspect of climate we have right now, did happen before. Ergo… Cheers. This time really is different, though not the way the Alarmists would claim. A worldwide multi-$billion industry has been built up around the lie of manmade warming/climate change-chaos-disruption-extreme weather. As long as you repeat the lie, you are golden, in with Flynn. You will be rewarded, or at least get to feel good about “saving the planet”. Woe betide those who dare go against the Big Lie, though. C’mon now. We all know that the climate change we are experiencing is a direct result of Russian weather modification experiments that have been going on since the 1970s. The movie Climate Hustle comes out, making a mockery of all the bogus claims and scams of the Climate Liars, and thus helping to put a stake through the heart of the already-wounded CAGW Beast. Well of course today’s climate scientists are MUCH more qualified and sophisticated than those of past generations. This time – no matter whatever they are predicting – they are right. RIGHT? Thanks for putting it all together. I have downloaded the article for future reference when arguing with the rare apostle of the new religion that I occasionally meet.. This post should be mandatory reading for California politicians and everyone of the “green” pursuasion, especially Gov. Moonbeams Brown. It is all part of the same exercise. Common Core is about ensuring that the population is made up low information sheeple easy to scare and good voting fodder. Like Agenda21 it is carefully written to appear benign; that is until you look at its implementation. The IPCC and the rest of the CAGW gaggle, are like Will Rogers busted watch – right at least twice every day.. So we are close to crossing the line? Climate Cassandras seem to operate in a slightly different fashion to the original Cassandra of myth. She was given the power to accurately predict the future but was cursed in that nobody would believe her. Climate Cassandras on the other hand produce wonderful models that can’t predict anything accurately but the world is cursed in that huge numbers of people believe their every puerile utterance no matter how daft it may be, or even if it contradicts their previous chicken bone or tea leaf reading inspired drivel. You forgot to add: “this is consistent with global warming”. This is of course despite the occurrence being in total contradiction to the earlier prediction that was also supposed to be due to “global warming”; the hysterical don’t credit others with much intelligence. Notice how they used to consult geologists, not climate scientists? Have you ever met a geologist who believes we are presently in a position to catastrophically alter the climate with our CO2 emissions? Looking at the Grant-o-meter diagram at the bottom I would suggest that the period 1945 to 1975 provides a good proxy for just how much tampering with the global temperature data for that period has been going on. “It was 14 years ago now when UK climate scientists argued that global warming would make snowfall a “a very rare and exciting event”. Torontonians almost croaked this winter from all the, er, rare and exciting events. We have always been at war with global warming. OMG! I just realized the danger. It’s 10:30 and my office is getting steadily hotter. If I project the linear trend forwards to next week, it’s clear we’re all going to die! If you’re going to claim that “climate scientists” as a group said something on some date, you should provide evidence other than showing a single scientist has an opinion on some date. OMG! A new danger. It’s 10:40, a colleague closed the windows and my office is getting steadily colder. If I project the linear trend forwards to next week, it’s clear we’re all going to die! Ten lives are at risk here. Where do I apply for government funding to keep us alive? Which only goes to prove that Climatology gathers the worst scientists. Good scientists do something worthwhile. If you are going to claim that “climate scientists” as a group did NOT agree with something said on some date, you should provide evidence that they expressed their disagreement other than assuming an assertion by an anonymous internet troll substitutes for evidence. I’m sure, even before 2006, there were plenty of people without alarmist views. Effectivly “The climate is what it is”. Rather that “It’s too cool/warm”. Just that it’s the “alarmists” who have had the ear of the MSM for the last century or so. If anything climate models appear to be even worst at predicting than random. Possibly using birds or tea leaves would do a better job. See this list of compilations from me on past cooling and warming scares. Why have people always been panicked about the weather and climate. From south American human sacrifices to the witch hunts of the Little Ice Age. Today we have both human sacrifices and witch hunts. I’m just an engineer with over 50 machines using IR, UV, convection, conduction, and X-ray energy transfers under my belt, but I think it is the unshielded thermonuclear reactor a trillion times the size of Earth eight light minutes away that is the driver of our climate. Earth makes 186 gigatons of CO2 every year. Most of it is from the decomposition of limestone and the 1,000 volcanoes that errupt every year More is from the decay of dead plants and animals. Man makes only six gigatons, 3.22% and of that the US makes 20%, 0.0065% of the total and with it we make 50% of Earth’s fuel, fiber and food. If Mr. Obama is successful he will destroy our economy and cause more CO2 production as less efficient countries will have to fill the needs with less efficient technology or we will have wars for food. The ironic fact is: CO2 is a “trace gas” in air and insignificant by definition. It absorbs 1/7th as much IR, heat energy, from sunlight as water vapor which has 188 times as many molecules capturing 1200 times as much heat as CO2 or 99.9% of all “global warming.” CO2 does only 0.1% of it. For this we should destroy our economy? The Vostock Ice Core data analysis show CO2 increases followed temperature increases by 800 years 19 times over450,000 years. That makes temperature change cause and CO2 change effect. This alone refutes the anthropogenic global warming hypothesis. Google “Two Minute Conservative,” and when you speak you will be applauded at your next dinner party, barbecue or church picnic. Forget about carbon and sarcasm for the moment and consider the possibility that the Sun is nearing the end of an active period and the earth will be cooler for hundreds or thousands of years. What should we do to prepare and avoid utter chaos? My favorite is the one from Royal Meteorological Society. Those British scientists in 1938 were more sensible than IPCC. Even Arrhennius, the founder of greenhouse effect theory, was sensible in 1906. He believed global warming is good. Now climate scientists talk nonsense. Well, why did you compare scientists from 1895 with 2014 ? There is a subtle difference I think in what we know today . I first learned about global warming as an undergraduate at the University of Illinois in Urbana-Champaign, 1974. Our environmental textbook, “Introduction to Ecology” by Dr. Paul Colinvaux mentioned the “greenhouse effect” (p. 227). ISBN 0-471-16498-4, it is a classic! Anyway, Colinvaux didn’t think much of the threat of global warming either. Those early lessons shaped my career & outlook. What’s entirely predictable is the climate of ignorance. 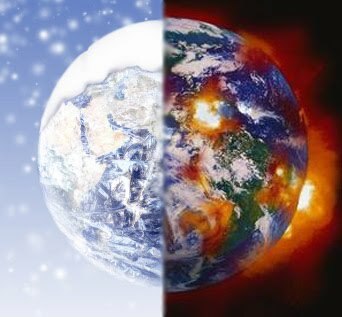 Someone in the article said “climate is always changing.” I was taught that it’s weather that changes; climate change would require a change in the position of the earth vs. the sun, — wouldn’t it? “Irritable Climate Syndrome” has produced a gigaton of crap over the last century for sure.